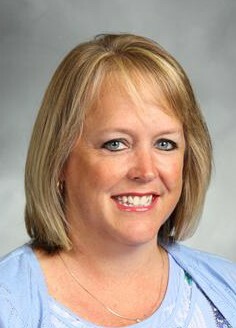 Stacie serves Hilliard City Schools as Director of Communications and has been with the district since 2013. She graduated from Ohio University with her bachelor’s degree in Communication with a Journalism specialization. She earned her master’s degree in Communication from Ohio University. Stacie’s main responsibility is to openly communicate with parents, community members and staff the message of our district. Stacie and her husband Dan have two sons in the district. Their family stays busy with hockey, soccer and Boy Scouts. The Communications Department manages a comprehensive communications program that builds, promotes and supports two-way mutually beneficial relationships between the Hilliard City School District and the community. We are committed to providing factual, objective and reliable information; using a variety of communication vehicles to reach intended audiences; and maintaining an atmosphere that welcomes the public.